The LG G5 is supposed to be LG’s first all-metal, unibody phone. It is, of course, but because a guy on YouTube who likes to break Nexus 6Ps for a living, scratched a G5 a bit with a razor blade after mistaking the phone for plastic and found a whole fat layer of non-metal, sh*t sort of hit the fan over whether or not the G5 really is metal. Again, it is metal, and LG has issued a response to the “erroneous” reporting over it not being metal. In the statement, LG says that the G5 is “composed of a special aluminum alloy, LM201.” They have a patent pending on it, by the way. When holding a G5, you may be feeling something other than metal, though, because LG is coating the entire phone with primer to insulate and enhance the surface of it. After adding primer, they put on a “pigment layer” that has “tiny metal particles” in it and probably then change the color to grey, titan, pink, and gold. The primer is the cause for the “erroneous” reporting, according to LG. LG says in the statement that if you scratched the hell out of the top layer, you’ll find the primer and probably think it’s plastic instead of metal. In other words, the G5 is made of metal, but LG put a thick layer of primer and paint on it that might feel a lot like plastic. Actually, the back panel does feel a lot like plastic. I have the titan, silver, and pink versions all on my desk at the moment and none feel like they are metal. I know they are, because the sides definitely feel like metal, but the backsides just don’t feel like it. The back has a soft-touch matte-like finish that comes no where close to the metal back of the Nexus 6P, which most certainly feels like a hunk of metal in hand. 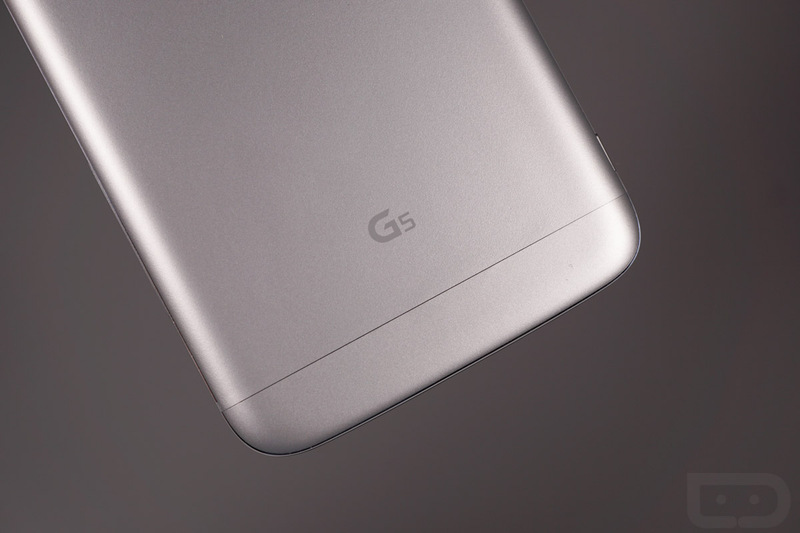 The G5 is light and…plasticky…so I could see how someone could mistake it for not being metal. But again, LG say it’s metal. Special aluminum alloy, to be exact.